Start now saving on your money with this latest week the european appliance store flyer, sales, specials, offers, deals, promotions and coupons. 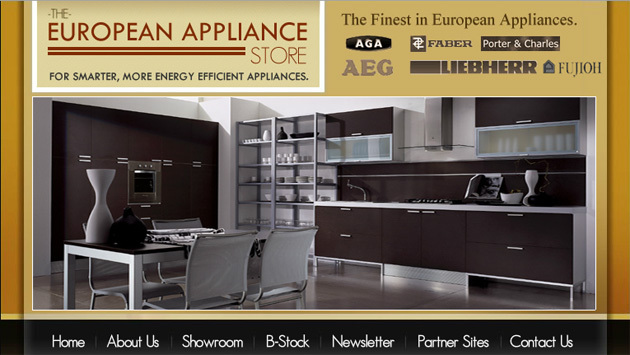 View the current the european appliance store flyer to save on all products offerted by the european appliance store ! Find all the deals & specials for the european appliance store in the current flyer below. Euro-Parts was incorporated in 1997 as a spare parts and technical information provider in North America for high-end imported appliances. Euro-Parts is still thriving and complements the more recent addition of The European Appliance Store with the parts and service division. We now carry the AEG, Porter & Charles, Liebherr, Faber and AGA lines with a full range of household appliances. Our company is the only supplier of these lines that can offer customers greatly discounted prices for new “B” Stock European appliances. “B” Stock consists of new appliances that have either been used as display models in other stores, or that have sustained minor imperfections such as a scratch or dent during shipping. Sold with full manufacturer’s warranty, these appliances are offered for up to 50% off suggested retail prices. Of course we also offer perfect “A” stock at competitive retail prices out of our Lucknow, Ontario location or we will price to ship anywhere you are!